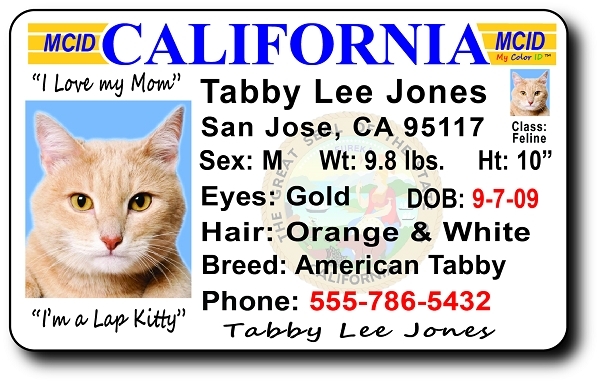 We Love Cats!!! 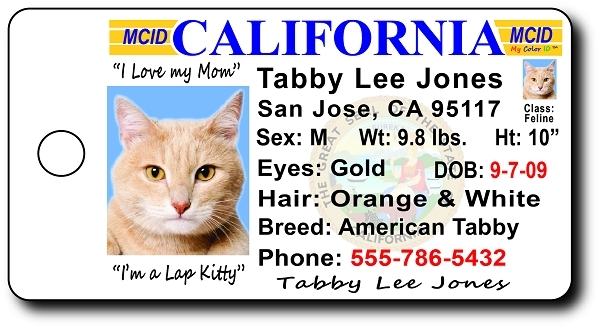 Now we have some colorful IDs to show our friends and Cat Lovers! Excellent Quality. Fast Service...no charge for shipping. 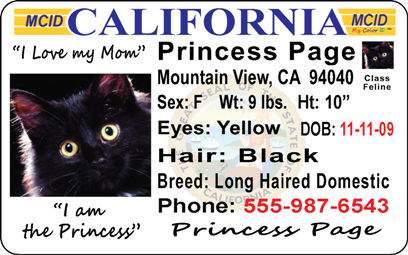 We purchased your collar IDs for our 2 cats and adorable Havanese puppy and have enjoyed them very much. 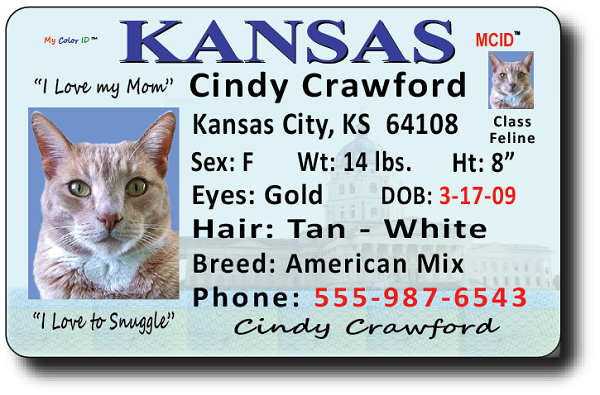 Brinkley liked his so much that he promptly ate them both but fortunately, you had sent us wallet size IDs to try also, so whenever he's not with me, I flip out HIS "Driver's License" and everyone is amazed at what a GREAT idea this is and, of course, how adorable Brinkley is! Price is very reasonable. Quality is perfect. They're a hit everywhere we go! Thanks for such great products!